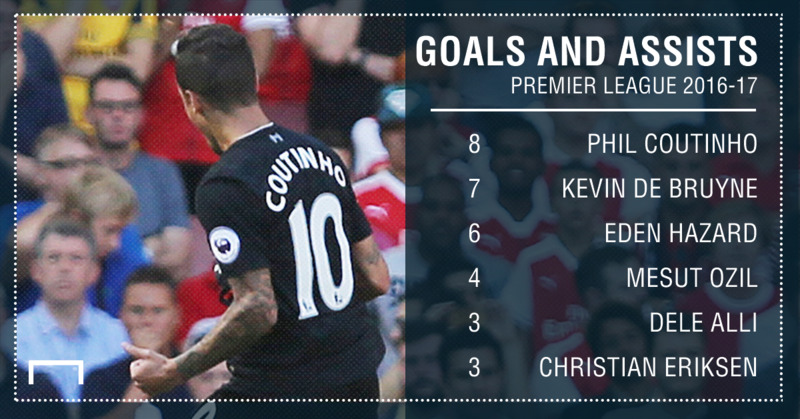 Outshining Hazard and out-assisting Ozil – is Coutinho the Premier League's best player? For all the astonishing skill Philippe Coutinho has executed on a football pitch, undoubtedly the most stupefying element of his time in England is the fact it cost Liverpool just £8.5 million to secure his spellbinding gifts. The Brazilian, recruited from Inter Milan at the end of January 2013 in one of the shrewdest transfer deals by a Premier League club, can now match his status as a bargain with being one of the division’s blockbuster names. 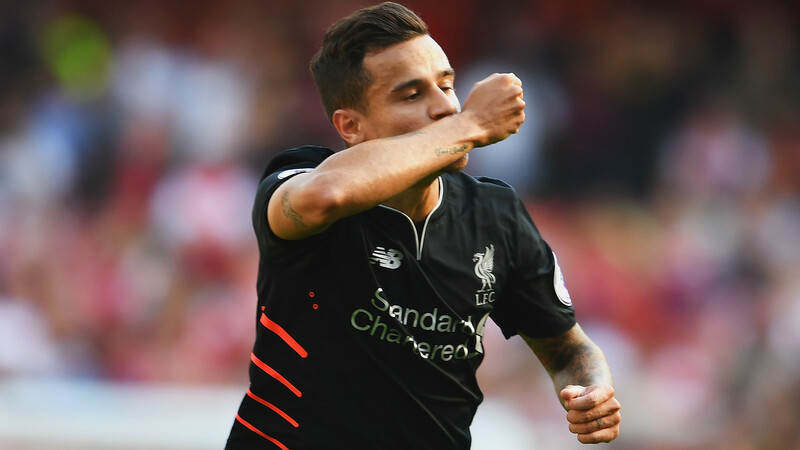 Producing four goals and the same number of assists in the opening 10 matches of the season, Coutinho has provided an early indication that he plans on once again elevating his contributions this campaign. Already emerging as the league’s standout star of 2016-17, the 24-year-old is still nowhere near his ceiling. Erroneously considered only a player capable of decorating games, Coutinho can dictate and dominate them too. His attacking talent is paired with tenacity as well as an overriding sense of obligation to his team-mates. 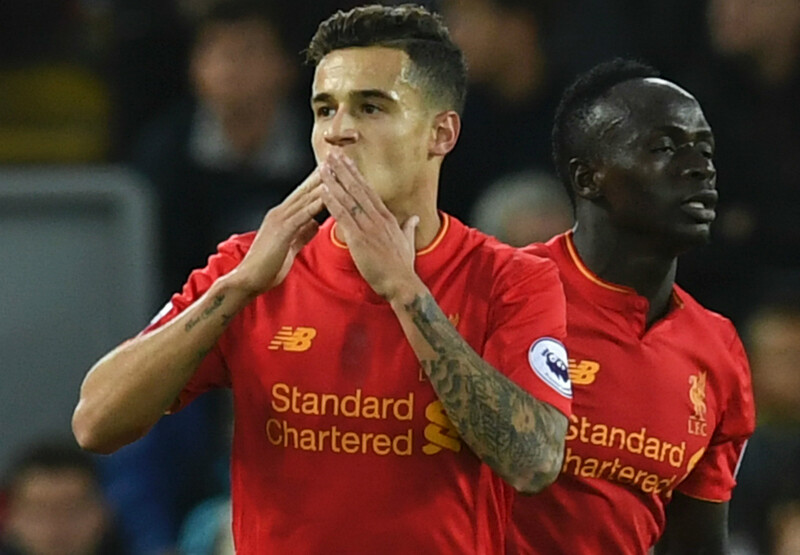 Tottenham manager Mauricio Pochettino, who worked with Coutinho during a loan spell at Espanyol in 2012, explained: “Philippe is a Brazilian player and, as it happens with most Brazilians, he has a special magic in his feet. “Aside from the magic that he has, he also has an amazing work-rate… What’s important about him is he is a good lad, a good kid – a great, humble person. 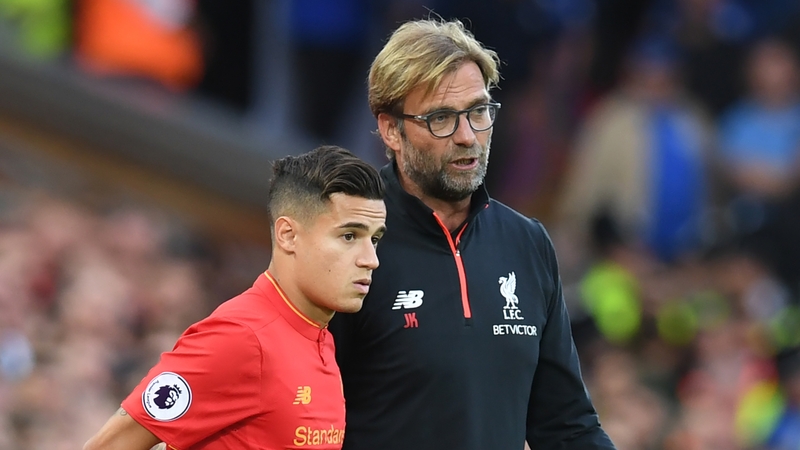 Liverpool boss Jurgen Klopp has touched on his industriousness too. “He’s now 24, his work rate is outstanding,” the German said. Coutinho has, for example, created more chances than Alexis Sanchez, Eden Hazard and Mesut Ozil, while turning in more tackles, interceptions and recoveries than his counterparts too. The futsal aficionado who grew up in Rio de Janeiro’s North Zone – in the shadow of the Maracana – has been the complete package: a goalscorer, provider, puppet-master, battler, the player to force matters and make the difference. It is this all-round arsenal that gives him the edge over fellow attackers in England’s top flight. Kevin de Bruyne has recorded one more assist than Coutinho, but cannot match him for shooting accuracy, completed dribbles, touches nor defensive aggression. Hazard enjoys plenty more take-ons, but does not create, provide nor pass as much. Christian Eriksen has succeeded with two more interceptions, but he has not yet scored in the league this season. 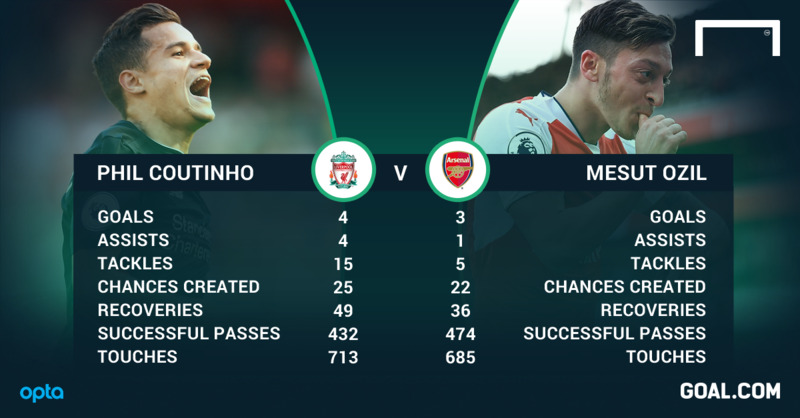 Ozil has slightly higher pass accuracy, but has made five tackles to Coutinho’s 15, and does not work a goalkeeper as regularly as the player four years his junior. Luis Suarez referred to Coutinho as “the difference that makes Liverpool,” with former Reds captain Steven Gerrard opting for the “next big thing” label. Neymar, meanwhile, predicted his countryman would become the best player in England. On current evidence, it looks like Coutinho is en route to fulfilling that prophecy.